Bruce Lee: An expert in Wing Chun, Lee incorporated elements from various fighting styles such as American boxing and Karate to create a devastating hybrid martial art he dubbed Jeet Kune Do. This achievement alone has earned him fame but it pales to the notoriety he brought to martial arts in his capacity as an actor which placed it in the world’s greater consciousness. 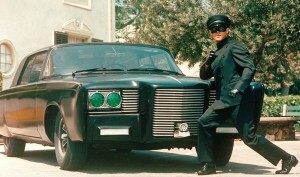 An early example of this accomplishment came in the portrayal of the aforementioned character Kato as part of the Green Hornet television series spinning out of the massive popularity of the Batman series. Kato was a character of the Green Hornet radio series whose popularity inspired the likes of Crimson Avenger and Wing and Vigilante and Stuff the Chinatown Kid and was adapted with the Green Hornet for pulp novels, comic strip, comic books, film serials, television, and feature film. Lee inspired enough interest in Kung Fu that it showed producers a television series based on it could catch on with viewers resulting in the series Kung Fu (Lee’s widow contends Lee actually created the series only for it to be stolen and providing him no credit or royalties). Green Hornet would be a huge hit in Hong Kong where fans dubbed it “the Kato Show” and made Lee a star there where he began making films in the country with upstart studio Golden Harvest. Lee’s biggest film, and what he’s chiefly remembered for, was Enter the Dragon which is largely responsible for bringing martial arts to the forefront of action cinema for the world. In America, where Kung Fu films often from the Shaw Brothers were already present in niche theaters often catering to African-Americans in major metropolises already existed, the popularity of Bruce Lee brought martial arts into the limelight, where his earlier films found new life and were devoured by audiences. Kung Fu began appearing everywhere, from movies to television to comic books. 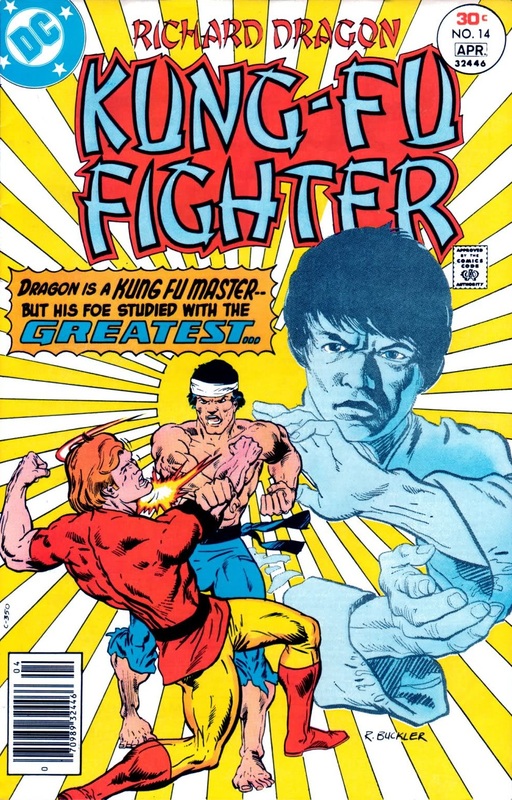 Introduced in December 1973 (four months after the release of Enter the Dragon in America), a thinly veiled analogy to Bruce Lee was introduced at Marvel Comics in Shang-Chi, Master of Kung Fu. 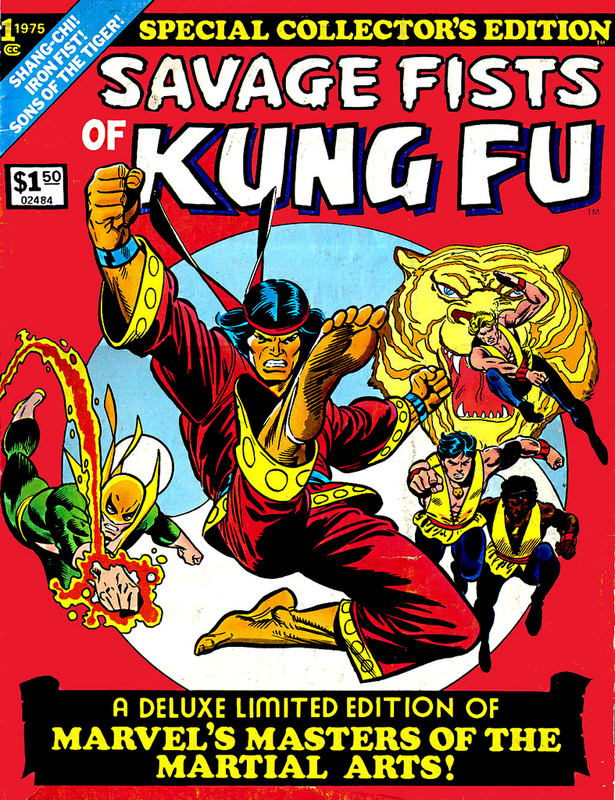 Born from a convergence of ideas, Marvel had acquired the comic book rights to the pulp supervillain Fu Manchu and the television series Kung Fu. 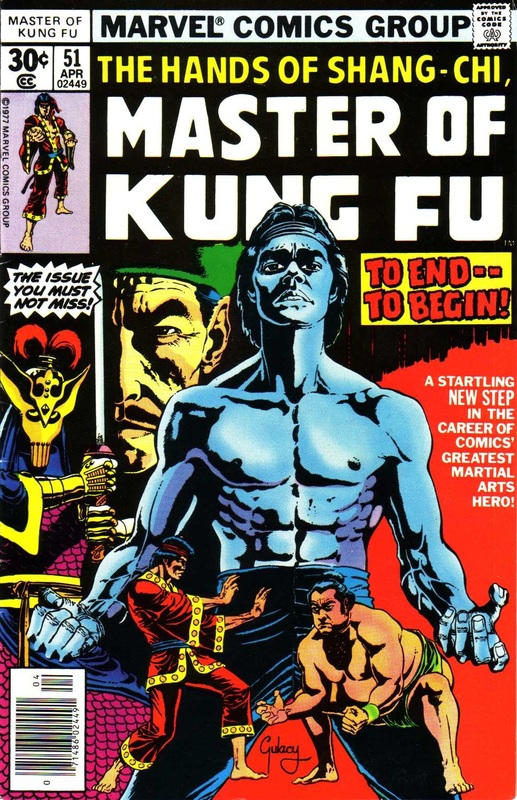 The publisher chose to borrow from these elements creating Shang-Chi as the son of Fu Manchu raised to be his ultimate weapon against his enemies but instead Shang uncovered the evil his father represented becoming his greatest nemesis. The concept was quite successful, Shang-Chi going on to star in his own title The Hands of Shang-Chi: Master of Kung Fu and was featured in a secondary title named Deadly Hands of Kung Fu. This second book would introduce several martial art characters including the Sons of the Tiger (which spawned the White Tiger) and Iron Fist (which spawned the Daughters of the Dragon). 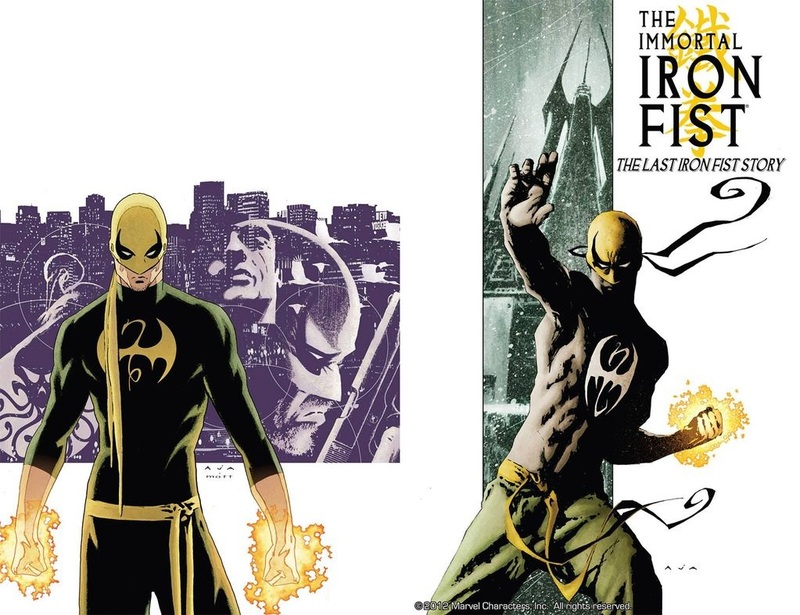 Iron Fist’s popularity lead to his own series (which introduced Sabretooth) but near the end of the 1970s, the Kung Fu craze was burning out yet Iron Fist managed to survive joining the ailing comic series Luke Cage, Power Man to become Power Man and Iron Fist. 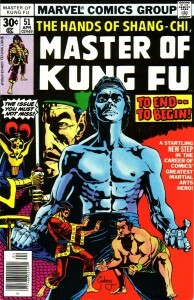 The Avengers added martial artist Mantis to their ranks around the time of the craze as well. DC Comics would produce their own Kung Fu title, writer Dennis O’Neil adapted his character Richard Dragon for the series Richard Dragon, Kung Fu Fighter. This series would introduce various martial artist characters which have thrived today including Bronze Tiger and Lady Shiva (Dragon would battle a student of Bruce Lee in the series named Sing). However, O’Neil’s use of martial arts in his writing predated the Kung Fu craze. There was a martial arts icon with a global impact just before Bruce Lee’s portrayal of Kato, but the character’s fame generally wasn’t for her fighting prowess. Diana Rigg joined the cast of the British adventure series the Avengers as Emma Peel, replacing Cathy Gale as the partner of the show’s primary protagonist John Steed when the program began airing in the United States. While Gale was known to use Judo, Peel employed high kicks and catlike movement which excited viewers for its action elements but her beauty and penchant for fashion (and a willingness to wear skintight outfits) made her the object of affection from male viewers. Her popularity was such that she largely became the star of the series in viewers’ eyes, and she was imitated in order to try and boost sales for the ailing Wonder Woman comic book series. Dennis O’Neil was brought onto Wonder Woman to inject new life into the title, having the heroine lose her powers and be forced to learn Eastern martial arts (having already learned Western styles growing up on Paradise Island among the Amazons) from the blind master I-Ching, opening a fashion boutique and becoming an international adventurer. The idea would eventually get scrapped when the feminist movement accused the comic publisher of depowering Wonder Woman in order to oppress one of their chief icons. 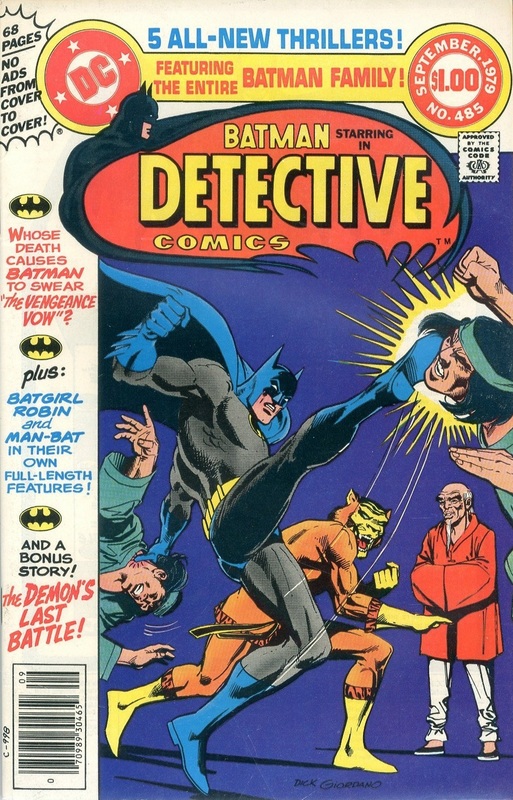 A short time later, O’Neil joined with creator Neal Adams to produce one of the most memorable runs of Detective Comics in the character’s history. 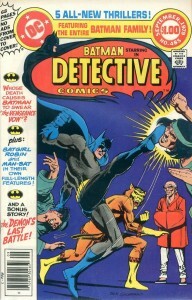 During this run, Batman’s martial art prowess was expanded upon, introducing Ra’s al Ghul (reminiscent of Fu Manchu and various James Bond villains) and connecting the writing duo’s League of Assassins to the character (itself largely a collection of unique, Bond-like henchmen though several were martial art experts, like the Sensei and Bronze Tiger). Charlton Comics, who already had martial arts comics during the Silver Age in Judomaster and Peter Cannon, Thunderbolt, would produce new series Yang and a comic book adaptation of Hanna-Barbera’s cartoon Hong Kong Phooey during the Kung Fu craze. The television series the Master largely introduced America to Ninjutsu, the ancient Japanese art of invisibility developed by infantrymen and Chinese immigrants (the Chinese Lin Kuei predating the Ninja) and adopted by monks, farmers, and peasants growing into secret clans, like the Iga and Koga, across that country becoming mercenaries and spies for militant forces. The primary antagonist for the Master was portrayed by Sho Kosugi, a Japanese immigrant that claims to have been taught Ninjutsu as a child by a neighbor, who went on to become the face of Ninjutsu starring in various films. 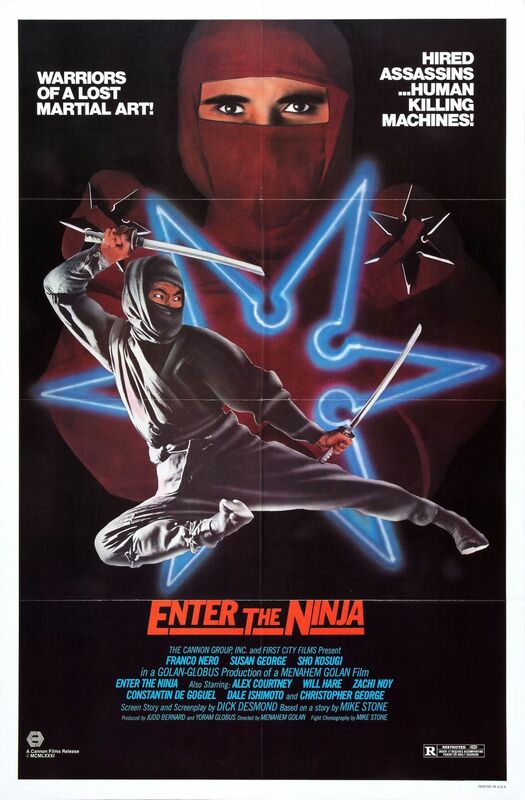 Golan-Globus, the studio who produced many of Kosugi’s films (and known for making low-budget action movies), would go on to develop the American Ninja series soon after the first Kosugi film Enter the Ninja. Video games like the Last Ninja, Shinobi, Ninja Gaiden, Bad Dudes vs. DragonNinja, and Shadow of the Ninja also began springing up. 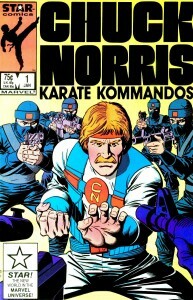 However, the Ninja arrived in comics some years before the craze. 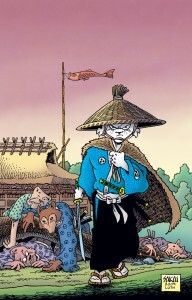 Archie Goodwin and Walt Simonson reimagined one of the Golden Age Manhunter masked men as a globe-trotting adventurer trained in Ninjutsu by its last surviving master Asano Nitobe in the pages of Detective Comics. Frank Miller, an up and coming creator at Marvel Comics and fan of Japanese culture and history (including the Lone Wolf and Cub franchise), reimagined the ailing comic book series Daredevil making the titular character a student of Ninjutsu and introducing the assassin Elektra and the Ninja clan called the Hand. The success of Daredevil and Uncanny X-Men, as well as Dave Sim’s Cerebus, inspired creators Kevin Eastman and Peter Laird to develop the series Teenage Mutant Ninja Turtles for their Mirage Studios (which became wildly popular turning into an animated television series, film series, toyline, licensed comics, video games, and much more). 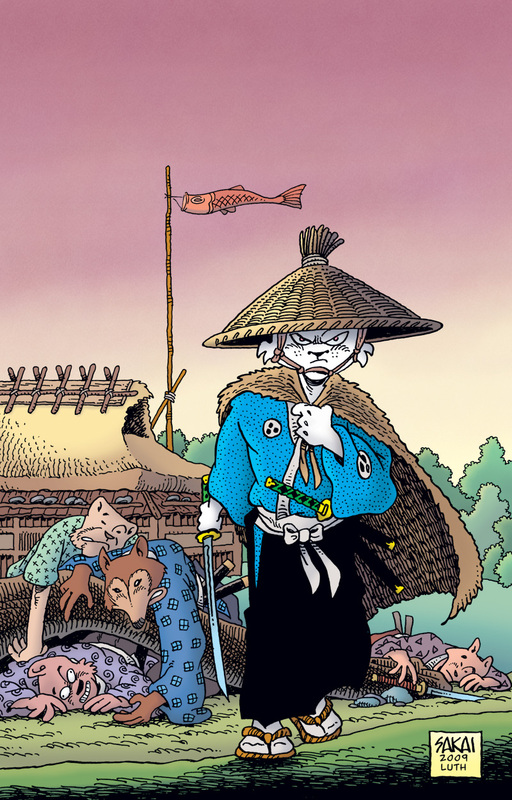 Frank Miller would go on to team with Chris Claremont of Uncanny X-Men fame to produce a Wolverine miniseries, detailing the titular character’s past involving Japanese Samurai and Ninja. Miller would also produce a limited series with DC Comics called Ronin featuring a dystopian future and reincarnated Samurai. DC Comics introduced Kana the Shadow Warrior as a Ninja who was betrayed by the Japanese military and went to work for the Office of Strategic Services during World War II. Batman discovered a new enemy in the Ninja-like Night-Thief. G.I. 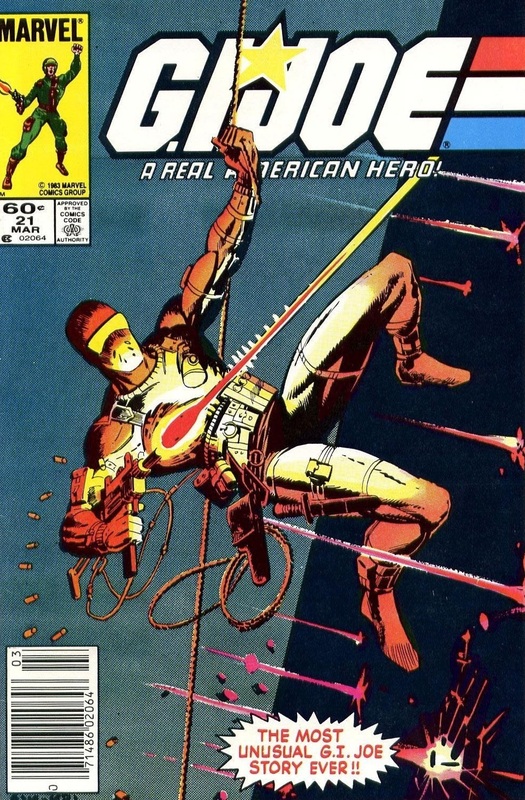 Joe would also predate the craze when Hasbro went to Marvel to resurrect their defunct toyline and, handed over to editor/writer Larry Hama, helped herald the G.I. Joe: A Real American Hero franchise that included toys, cartoons, and a comic book series. 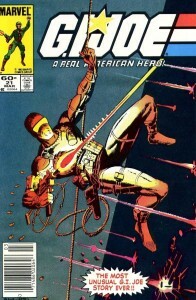 The series introduced Ninja Snake-Eyes and Storm Shadow (whose popularity spawned the Arashikage Ninja Clan and an army of Ninja characters) and the Samurai Budo. Further, Eastern martial artists like Scarlett, Quick Kick, and Firefly were introduced. When Hasbro went to Marvel again to develop the Transformers franchise, an original character created for the animated series was Nightbird, a robot Ninja. DC Comics would continue fostering martial arts content where Dennis O’Neil added a great deal of martial arts to his Question run (incorporating his Richard Dragon and Lady Shiva characters and introducing Marco, an expert in Capoeira), Mike Barr introduced samurai warrior Katana for his Batman and the Outsiders series, and Mike Grell introduced Shado, an expert in the Japanese longbow (Kyudo) and Yakuza hitperson, to his today much-revered Green Arrow: The Longbow Hunters limited series. Alan Moore adapted elements of the Count of Monte Cristo with dystopian literature and a protagonist with martial arts skill for his work V for Vendetta. Mike Baron would create a new comic series featuring martial arts in the Badger. It wouldn’t be long before Eastern martial arts blended into the American melting pot. Chuck Norris, an expert in Tang Soo Do with one of the best records in competitive Karate in America, was one of the primary antagonists of Bruce Lee’s character in Return of the Dragon. 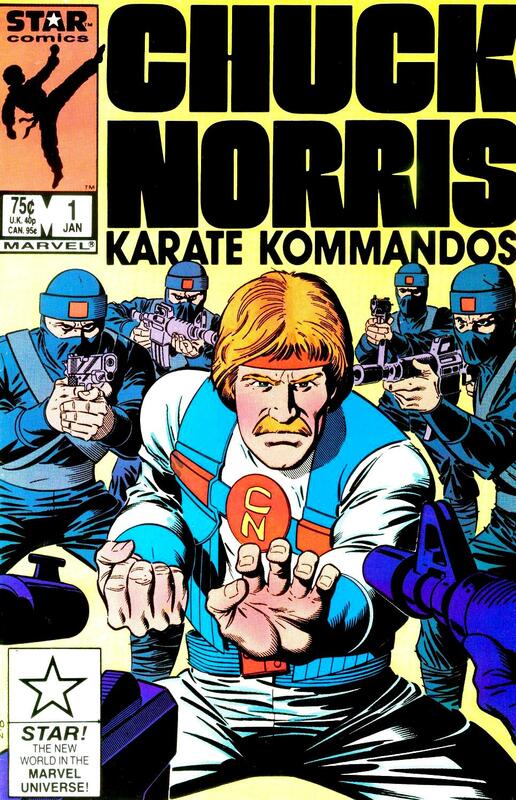 Lee’s fame helped propel Norris into several popular films becoming one of the United States’ most sought after action stars leading to a toyline, animated series, comic book series, and live action television (most notably, Walker, Texas Ranger). 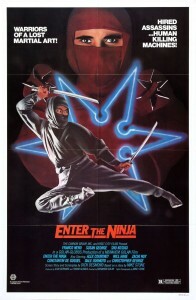 The film series Karate Kid also came into being in the mid-1980s which also proved to be hugely popular spawning toys and a cartoon (DC Comics’ Jim Shooter developed a Karate Kid character during the Silver Age for the Legion of Super-Heroes series that’s not affiliated with the film series). Other martial artists began to emerge as major action stars towards the end of the 1980s including Steven Seagal (Aikido) and Jean-Claude Van Damme (Shotokan). By the mid-1990s, Mighty Morphin Power Rangers was one of the hottest shows on television, fighting games like Street Fighter II and Mortal Kombat were some of the most popular video games produced, and by decade’s end major Hong Kong action stars Jackie Chan (Peking opera) and Jet Li (Wushu) had become well-known in the United States, the former having his own animated television series, and it had almost become mandatory for an action star to know martial arts (action stars of the 1980s in Arnold Schwarzenegger, Sylvester Stallone, and Bruce Willis have over the years become more familiar with martial arts in their acting roles). The same was largely true of non-powered or street-level superheroes/supervillains in comics. Today, the comic book market brims over with martial art characters, so far as it may as well be a super power. Even in this climate, two writers stand out for developing martial art heavy content: Kelley Puckett and Chuck Dixon. 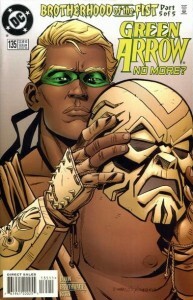 Puckett, an accomplished martial artist in Taekwondo, was tasked with introducing a new Green Arrow when the original dies tragically in a bomb blast and replaced him by his son in Connor Hawke. Raised in a monastery, Hawke spent his life learning martial arts before uncovering his heroic parentage and joining his father shortly before his death, leaving the son to inherit his mantle. 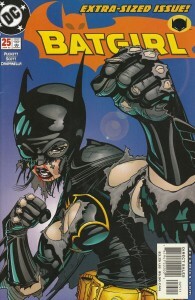 Within a few years, Chuck Dixon (during much lauded and prolific runs on Robin and Detective Comics, creating characters like King Snake and Lynx) was brought on to pen a new Nightwing series, one that was packed with martial arts action as the hero set up shop in a city on the outskirts of Gotham named Blüdhaven and battles the likes of Lady Vic, Stallion, Brutale, Double Dare, and Shrike. The same year, Dixon also helmed another series in Birds of Prey teaming Oracle, Black Canary, and Huntress (first as miniseries and eventually an ongoing series) also taking on martial art characters like Cheshire and the Ravens. 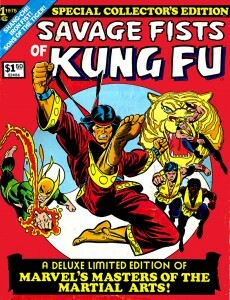 Dixon would also take on the Green Arrow series which set up one of his most popular storylines in Brotherhood of the Fist seeing virtually every major martial artist in DC Comics band together as the Monkey Fist Cult, a clan worshiping martial arts, sought the greatest fighter on Earth to worship him/her (this fighter becoming the Paper Monkey, a role that was held by Lady Shiva). Kelley Puckett would later return to create Cassandra Cain, the daughter of Lady Shiva and a leading assassin named David Cain (who was one of Batman’s teachers), raised since birth in the martial arts by the League of Assassins with the DNA of two of the greatest martial artists alive. Cassandra would escape her father and become Batman’s partner Batgirl, and while many of Batman’s proteges had displayed promise, Cain was by far most adept at combat (and Batman’s acceptance of her as a daughter made her as dedicated to him as any of Batman’s “other children”). 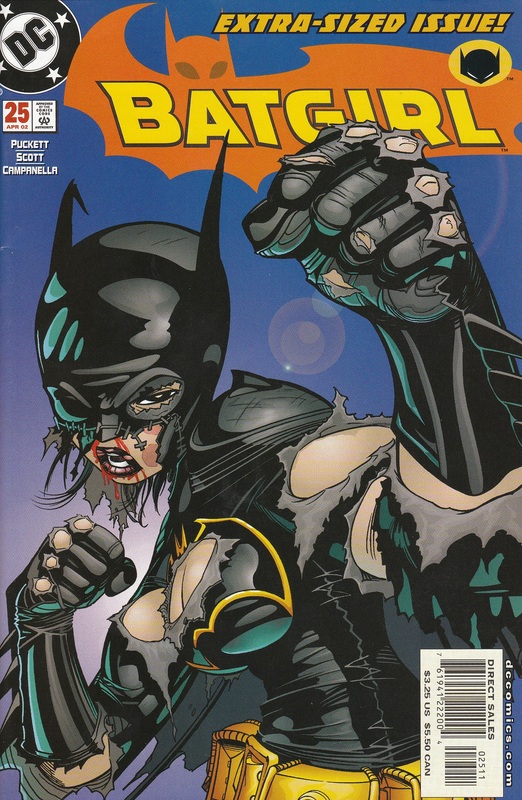 Batgirl in many ways became a martial arts prodigy without equal, so far as even defeating her mother Lady Shiva who in previous years has been built up to be the greatest fighter on Earth (most recently in Dixon’s Brotherhood of the Fist). 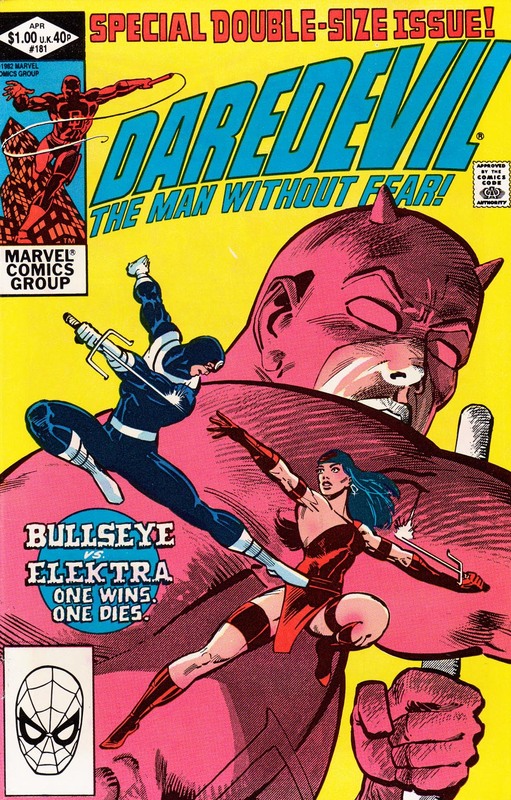 Chuck Dixon would go on to reinvent Richard Dragon in a new series teaming the character with longtime friend Bronze Tiger as they hunted Lady Shiva and the Circle of Six, a group of international martial art assassins the villainess assembled. 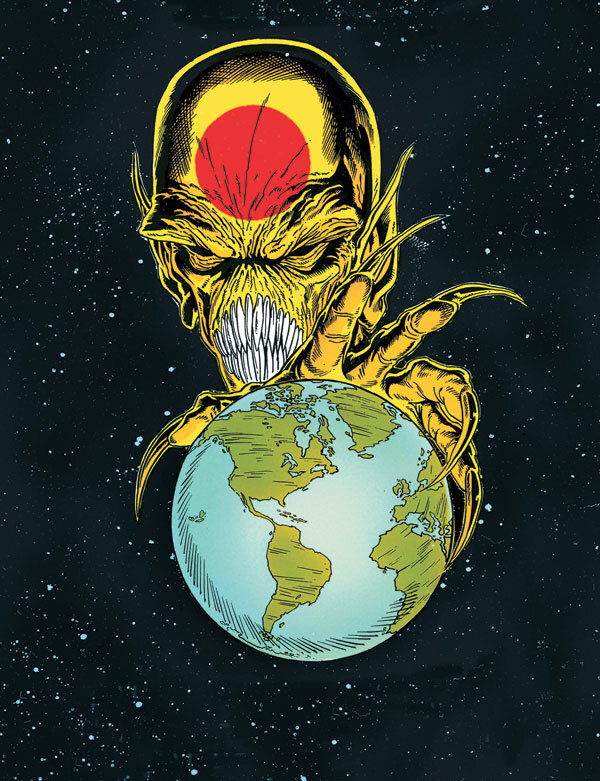 Writer Andersen Gabrych would take the remnants of Shiva’s group after Dragon’s series ended (along with former Batgirl character Alpha) and adapted them for a new League of Assassins with Shiva as their sensei (teacher) in the pages of Batgirl. Shiva tried to convince her daughter to take her role as world’s greatest fighter and lead the League (as well as finally get Cassandra to kill her in honorable combat). Writer Gail Simone would also pick up the torch for martial arts comics in the pages of Birds of Prey introducing Savant, Creote, the Twelve Brothers in Silk, and White Canary and had Shiva become Black Canary’s sensei. Canary’s beau Green Arrow would also receive an upgrade under writer Judd Winick trained by Deathstroke the Terminator’s sensei Natas and battled master martial artist Constantine Drakon. Other notable martial art comic book projects in recent years include Chuck Dixon’s CrossGen series Way of the Rat, Gail Simone’s Agent X, the introduction of Mister X, Gorgon, and Daken in the pages of Wolverine and Echo in the pages of Daredevil, Iron Fist’s return to his own series in the Immortal Iron Fist, UDON’s reinvention of longtime supervillain Taskmaster (which propelled him into a great deal of notoriety in recent history), Greg Rucka’s work with the new Question in Renee Montoya, Marvel events like Secret War and Shadowland featuring street-level characters, and Archer & Armstrong has been resurrected again by Valiant Entertainment. My friend Tomer also recommends Wolverine: Manifest Destiny. I like it. 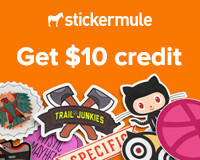 Very nicely done, Jerry. Completely forgot Wild Wild West.